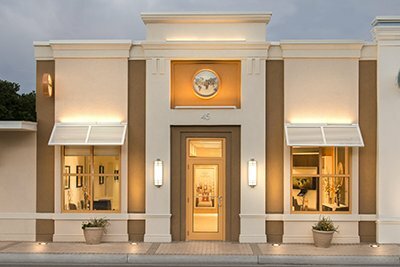 The Applied Scholastics Community Learning Center is a welcome beacon for area children and their families. Having provided help to the community for nearly 20 years, the Center is empowering a second generation to increase their literacy and love of education. 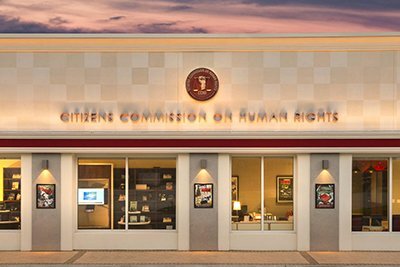 Those interested in learning more about Applied Scholastics and the Community Learning Center can find their first stop at the Center’s reception, which includes an audio-visual enlightenment system about the Study Technology developed by L. Ron Hubbard and utilized by over 1,000 Applied Scholastics affiliates and groups internationally. The Course Room provides students the study tools they need to put their feet on the road to educational success—including an ability to apply what they learn. Applied Scholastics International, is a nonprofit educational organization founded by a group of American educators in 1972. Since then, Applied Scholastics has been dedicated to making L. Ron Hubbard’s educational technology available on a global scale. The Play Room provides play and learning opportunities for younger students. The Center’s Snack Bar gives students a cheerful area for breaks between tutoring sessions. Every area of the Center is designed to ensure students can learn in an upbeat and positive environment. The multi-purpose room is dedicated to large-scale tutoring training programs, events, educational seminars and graduations. Configured for tutoring sessions, the multi-purpose room can accommodate dozens at a time for tutoring. The piano, donated by a patron of the Center, offers the possibility of entertainment during special events. The Community Learning Center’s playground provides the students a safe place to play on break from their studies. The adjustable height basketball hoop ensures that students of all ages will be able to participate in ‘pick-up’ games after study. 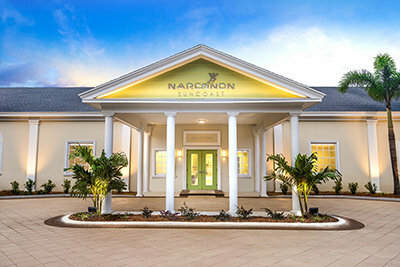 The Community Learning Center welcomes students of any level to their North Fort Harrison location. It was founded to provide tutoring help to any child, regardless of economic status, across the city of Clearwater. 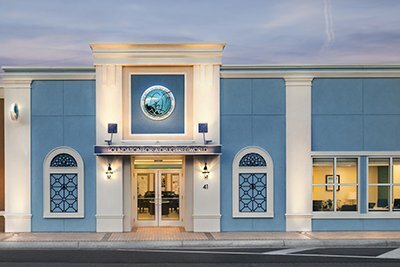 The Applied Scholastics Community Learning Center of Clearwater is part of a growing number of programs, schools and educational facilities throughout the world that utilize the Study Technology developed by L. Ron Hubbard. 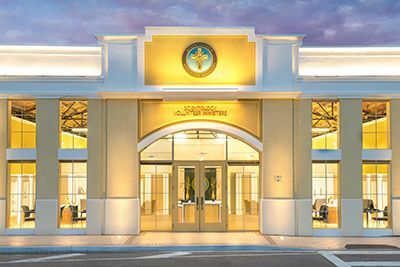 The newly transformed tutoring center on Clearwater’s Fort Harrison Avenue just minutes from the downtown core reflects the continued commitment by Scientologists to the Greater Clearwater Community. Indeed, its transformation came at a crucial time for students. In Pinellas County, for example, only 78 percent of students graduate high school. 85 percent of the juveniles in the criminal justice court system are functionally illiterate. About 70 percent of prison inmates cannot read above a fourth grade level. Two-thirds of young people who can’t attain fourth grade reading levels will end up in jail cells or on welfare. Here’s another dimension to the problem: 32 million American adults can’t read—14 percent of the population. 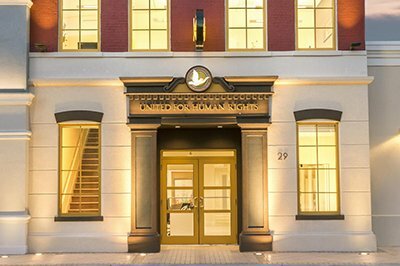 The Community Learning Center offers literacy and tutoring programs based on the research and writings of L. Ron Hubbard. The Study Technology allows a person to learn any subject successfully, enabling them to achieve the goals they have set in life for what they want to be and what they want to do. Study Technology consists of tools and techniques teachers can use to improve the learning rates of students. These same tools and techniques can be used by students themselves to improve their ability to understand and to use the materials they read and study. And it remains vital for continued learning as one leaves school and faces the challenges of life. More than 100,000 educators utilize these programs to the end of helping some 36 million students around the world. 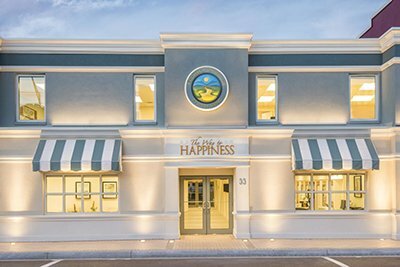 This new center in Clearwater is part of a network of over 1,000 Applied Scholastics groups and affiliates worldwide utilizing L. Ron Hubbard’s Study Technology and was made possible through generous contributions from members of the International Association of Scientologists (IAS). Applied Scholastics was founded in 1972 by a group of educators looking to implement successful educational methods. Applied Scholastics is administered by the Association for Better Living and Education. For more information, please go to AppliedScholastics.org. 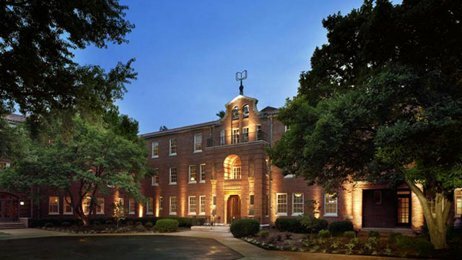 Find out more about Applied Scholastics and L. Ron Hubbard’s Study Technology, providing tools for literacy and learning to millions throughout the world.